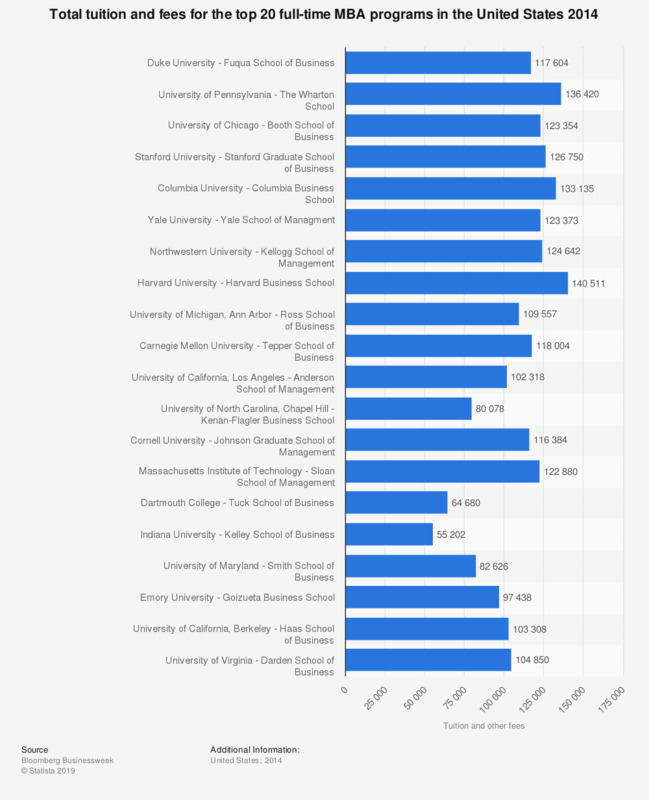 This graph shows the total cost for tuition and other fees to complete the top ranked full-time MBA programs in the United States (according to Bloomberg Business-week). The top ranked full-time MBA program was at the Duke University, Fuqua School of Business and costs students a total of 117,604 U.S. dollars to complete. To calculate the ranking for best business schools Bloomberg Businessweek looked at student satisfaction, post-graduate outcomes and academic quality. If you had to choose, would you prefer to implement the policy for a rise in the inheritance tax threshold or for a cut to university tuition fees?